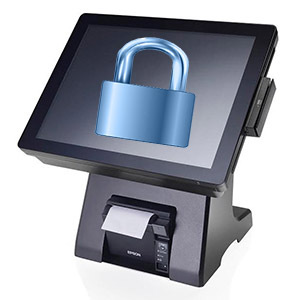 Point of Sale Security Best Practices - New West Technologies, Inc.
Enterprises should take several measures to improve point of sale security, prevent POS malware infections and avoid POS data breaches. There are several key practices that every retailer should have in place, or work diligently toward implementing, in order to help prevent data breaches at the point of sale (POS). It’s important for you to acknowledge that all POS systems do have at least some level of security risk and thus take steps to prevent attackers who are just looking for vulnerable systems to target. The below steps are a good start for you to evaluate your POS system security. First, ensure all point of sale data is encrypted, and only decrypt when the data reaches the payment processor. Exploring end-to-end, tokenized and encrypted payment processing is a good start to ensuring your customers’ credit card data is secure from your point of sale station all the way to the payment processor. It is important to keep your point of sale software as current as possible by installing software updates as they are released as they may contain important security patches based on newly discovered vulnerabilities. You should also perform regular testing to identify and address weaknesses in your system. You should also implement application whitelisting, which allows only your necessary applications to run on the POS system. This way, any applications that may add risk, such as email applications and web browsers, are blocked in order to prevent malware infections to the POS workstation. Train employees to be on the lookout for malware and other criminal activities, such as connecting card skimmers to POS systems. Skimmers attach to the POS device to steal customer credit card information when they scan their cards. By ensuring your staff is vigilant, you will add another layer of visibility and protection for your valued clients. Some other key procedures will be to always use complex and secure passwords and two-factor authentication, monitor activity on POS systems for threats, segment networks used by your POS systems, and continuously run antivirus software to scan for malicious files. If you would like to learn more about how you can advance your point of sale system security to help avoid costly data breaches, contact our sales team today to discuss how we can help you keep your data safe.